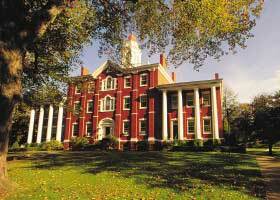 St. Lawrence University, founded in 1856, is a private, liberal arts university. 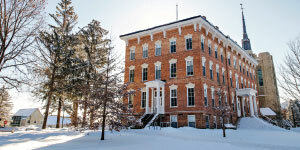 Its 1,000-acre campus is located in Canton, in northern New York. 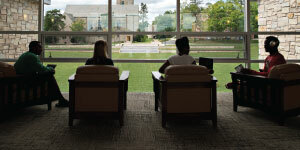 1,100&#8208;acre campus in Canton (population: 6,487), 80 miles from Ottawa, Ontario, Canada; 100 miles from Montreal, Quebec, Canada; 130 miles from Syracuse. Served by bus; major airport serves Ottawa; smaller airports serve Ogdensburg (18 miles), Massena (38 miles), and Watertown (60 miles); train serves Plattsburgh (100 miles) and Syracuse. University operates transportation to airports and to Boston, Buffalo, New York City, and Syracuse during breaks.